When my daughter Ella was in fourth grade, she got in the car one day after school and announced her plan to run for student council. At her school each class has a representative, and I was thrilled she planned to put her name in the hat. Even if she didn’t win, it would be a good experience. She told me almost every girl in her class was running, as well as one or two boys. As kindly as possible, I mentioned the boys might have an advantage since the girl votes could be split, as that can happen in elections. I told Ella I was proud of her for putting herself out there, and that she’d make a great representative if elected. The next day after school, Ella mentioned a dilemma she and her friend Annie had “figured out.” On Friday all candidates had to give a speech. Since our family was going to the beach Friday, Ella wouldn’t be there to give hers. I was very touched by this suggestion from Annie. Why? Because Annie was running against Ella for student council. Yet instead of treating Ella like a competitor, she treated her like a friend. Ella’s teacher agreed to the video speech, so we made it and sent it on. I didn’t think much more about the election until Friday afternoon around 3 p.m., when I was soaking up an ocean view of the Gulf coast and received an email from Ella’s teacher. She had great news: Ella had won the election! Her classmates had voted her onto student council. Our family hugged and congratulated Ella. I could tell by the shy smile on her face what her peers’ vote of confidence meant to her. About ten minutes later, my cell phone rang. It was Annie’s mom (one of my close friends) calling us from her cell. The phone call didn’t surprise me, because that was typical for this family. What caught me off-guard was the timing of the call. These were 10-year-olds, after all, and 10-year-old emotions can be fragile. Their automatic instinct isn’t always happiness for a friend who got something they wanted, too. Had the tables been turned, I’m not sure the call would have happened so fast. We may have had to work through a little disappointment – if even for a minute – before focusing on our friend. But to Annie and her mom, a victory for Annie’s best friend was a victory for Annie. A win for one was a win for both. If you ask me, that’s the perfect illustration of true friendship. It’s how it should work at every level. All four of my girls have found friends similar to Annie. While no friendship is perfect, I’ve been surprised by some of the kindness I’ve seen at young ages. They know how to look out for a friend. They get it. And can I tell you what their kind friends all have in common? Kind mothers. Time and time again, I’ve become friends with the moms I meet through my children’s beloved friends because they’re good souls. I don’t think it’s a coincidence their children are, too. We all want to raise kind daughters. We want them to be good friends and have good friends. While I give Annie full credit for supporting Ella – she suggested the video, after all, and was quick to celebrate her win – I know she didn’t pull that mindset out of thin air. She picked it up from her family because that’s how her mother and father both think. A win for a friend is a win for both. Kindness among young girls doesn’t start on the playground or in the locker room – it starts at home. Most notably, it starts with kind mothers raising kind daughters. Our girls see how we treat our friends. They also notice how we treat their friends. 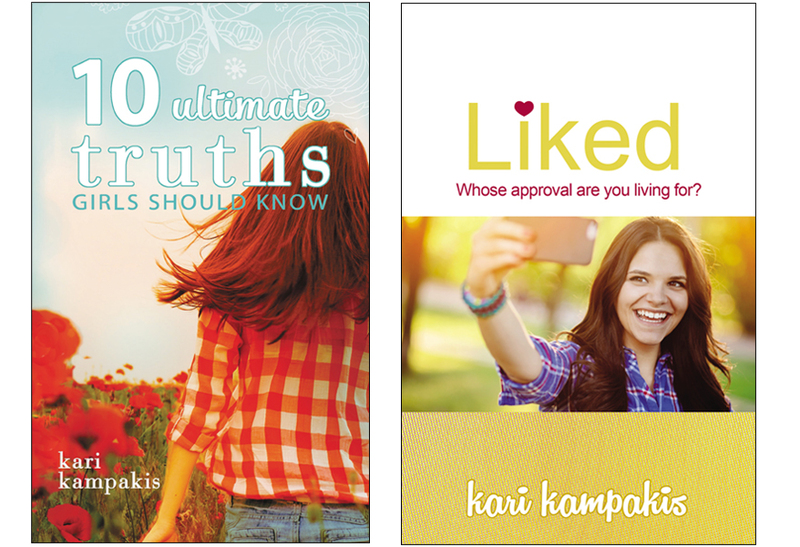 If we treat their friends as competitors, our daughters will, too. If we love their friends like we love our own children, they’re more likely to see them as sisters and part of the family. Keep in mind it wasn’t just Annie cheering when Ella won student council. It’s was Annie’s mom, too. She was just as enthusiastic. Can I tell you what that meant to me? Can you imagine the trust that added to our relationship? Quite honestly, I think it’s rare for both a mother and daughter to instinctively rejoice as these two did. Then again, maybe it just proves the point. We moms rub off on our girls. Over time our way of thinking becomes their way of thinking. 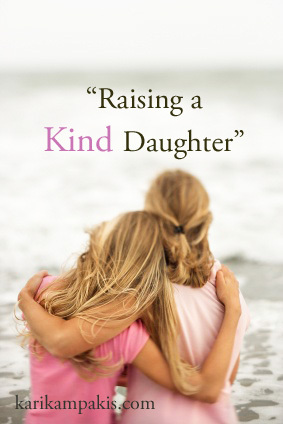 If we want to raise kind daughters, we need to start by being kind mothers. I saw this blog on Huffpost and loved the story. 🙂 But I couldn’t also help wondering why this is about kind “daughters” and not just kind “children.” Kindness is something society automatically expects females to have. Males are expected to be tough and strong. I think it would benefit our daughters if we made an equal effort to instill kindness in our sons, too, and toughness in our daughters. It may go without saying, for some people. But, looking at our culture, I think it needs to be said. A lot. This story popped up in my shared stories on FB. I loved it and want you to know how profound this little story is,. True kindness goes a long, long way in life. A great story! Thank you for sharing! What a lovely story that so nicely illustrates the point. Our children mirror everything we do; good and bad. I am challeged to be more mindful.